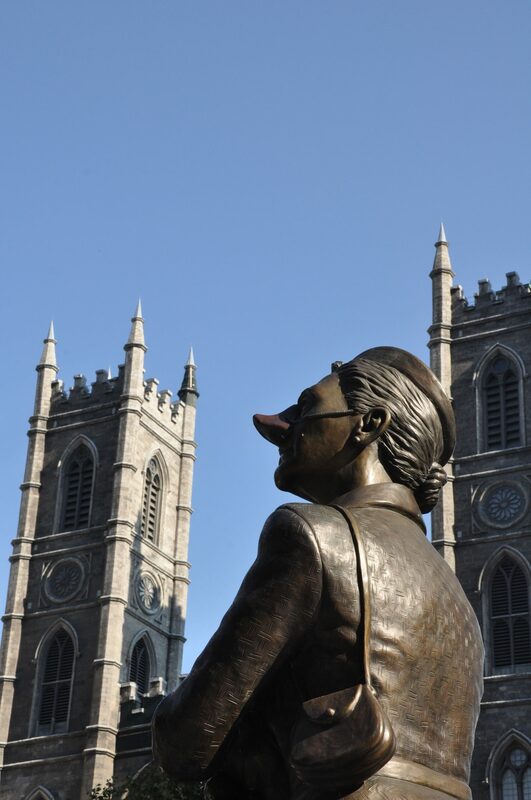 Art is everywhere in Montreal. 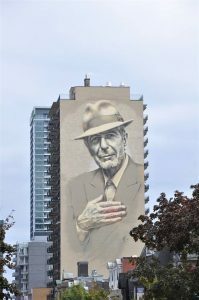 In that chilly breeze in October, in the slaty light, the stroll down Sherbrooke to the Montréal Museum of Fine Arts took us past memorials to Steve Jobs and Canada’s poet laureate, Leonard Cohen. 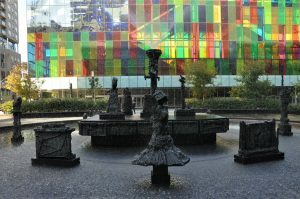 The campus—for all those buildings around the intersection of Sherbrooke and the jogged ends of the Avenue du Musée and Crescent Street have been united into a campus–is its own small world. 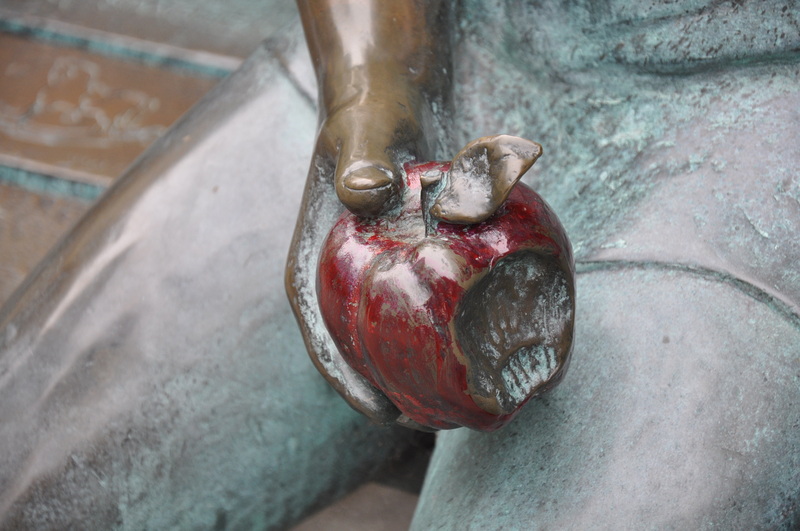 The largely pedestrian Avenue du Musée is an actual sculpture garden and other works mark nearby corners. It is not, perhaps, much of an oasis, but it is a magnet, and later on, as one moves through the connecting spaces of the museum, views out windows reconnect with that space. 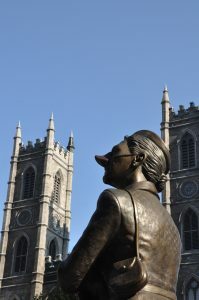 Throughout Montreal, monuments, fountains, murals and sculptures claim the interstices of urban space; as skyscrapers fill more of the airspace, these ad hoc galleries muscle them back, asserting the earth and human territory. Tall buildings, though, offer large canvases and Leonard Cohen gazes across the neighborhood with an ambiguous look. The image comes from a photograph taken by his daughter. It’s the older, wiser Leonard Cohen, not so much the dark brooding presence of his first album but not really avuncular, not kindly, a sort of sardonic but understanding man I would happily buy a beer. Our walks did not take us far. 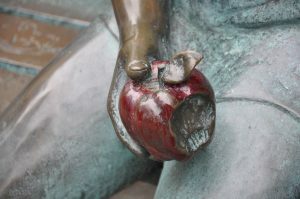 If the Hilton Garden Inn Centre-Ville was home base, the museum was 1.2 km to the south-southwest and the Oratory of St. Joseph was another 3.5 km west of that. We appreciate the admirable public transportation system that gets one about. Yet still we walked. The Montreal Museum of Archaeology and History at Pointe-à-Callière was about 1.7 km from the hotel and from there walked another kilometer north to the Grande Roue in the Old Port. Perhaps it is best not to know exactly how far is the destination. 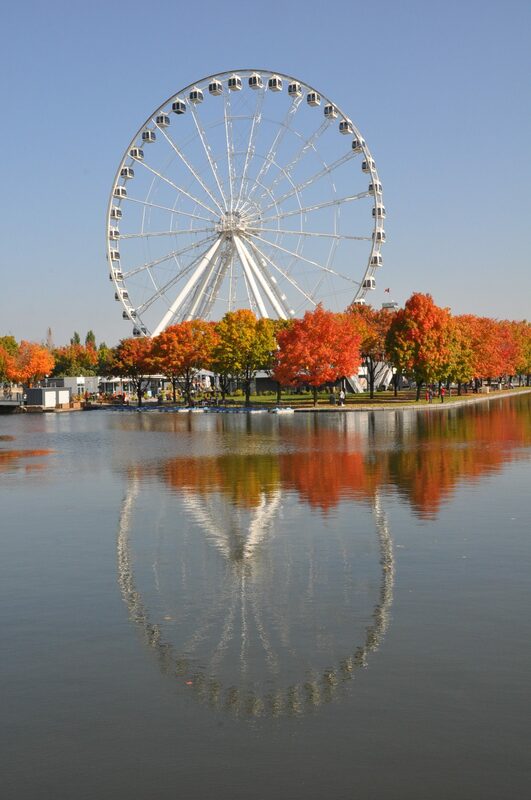 The hike through the Old Port to Place Jacques Cartier, past Notre Dame and the Place d’Armes and the Place Jean-Paul-Riopelle to rue de Bleury and home had to have been pushing 3 km. Farther than we generally walk most times. That route, however, took us back past the fountain that hadn’t been working the day or so before. A gray-haired gentleman with ID hanging from a lanyard was studying the problem as minions milled about. 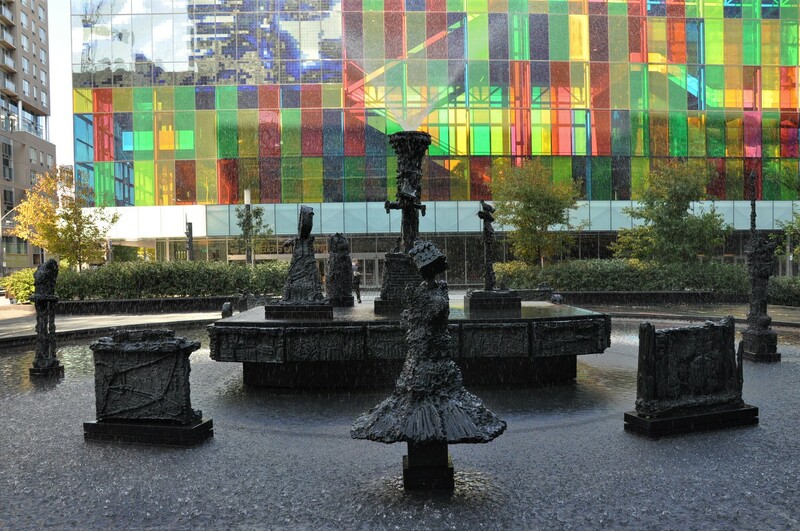 Jean-Paul Riopelle (1923-2002) had created the sculptures and the ensemble is apparently part of the collection of the Museum of Contemporary Art. Now, however, water sprayed into the air and pools reflected the cityscape and passers-by. It’s all of it a kind of ornament.